For slightly lower-scale extravagance, there’s Les Trois Gros Bistro. 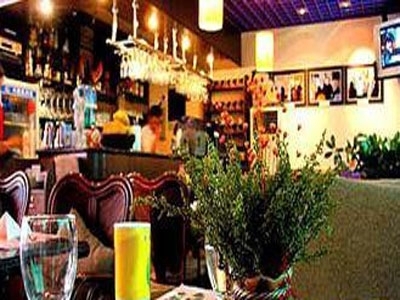 This restaurant is a family-style eatery where the owner, an amiable fellow called Ken, does all the cooking himself. As a result, the menu has some interesting takes on old French favorites, and a fusion section with Vietnamese influences. The dessert menu is particularly tempting, and overall you’ll get more bang for your buck at Les Trois Gros than at the previous restaurants.